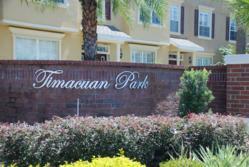 Timacuan Park is a non-gated townhome community and can be found just off Timacuan Boulevard on the east side of Rinehart Road in Lake Mary, Florida. It is located just prior to the main Timacuan community development. 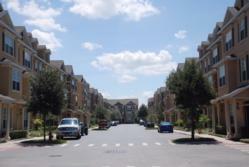 Developed in 2007 and 2008 by Centex Corporation, the community consists of approximately 50 three story townhomes with two car garages. The master bedroom suites occupy the third story. Access to the garages are all via alleyways at the rear of the properties. 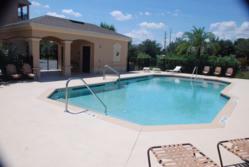 There is a community pool located near the entrance to the community.